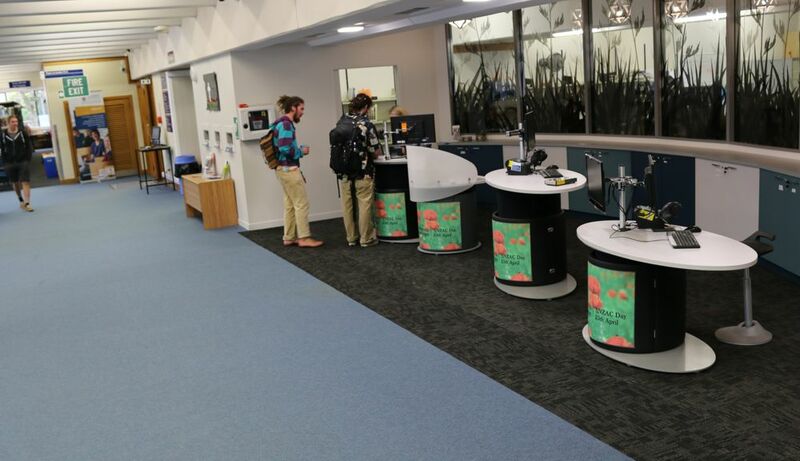 The entrance and lending area of Massey’s Manawatū Campus in Palmerston North was due for a redesign. 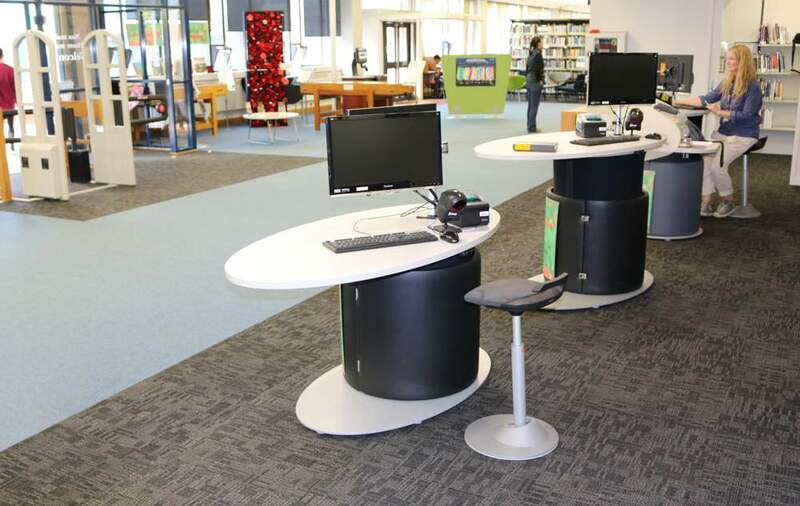 University Librarian, Linda Palmer, was keen to move away from the fortress-like counters and transactional desks of traditional libraries, to mobile service points that could provide a more collaborative and flexible learning space. 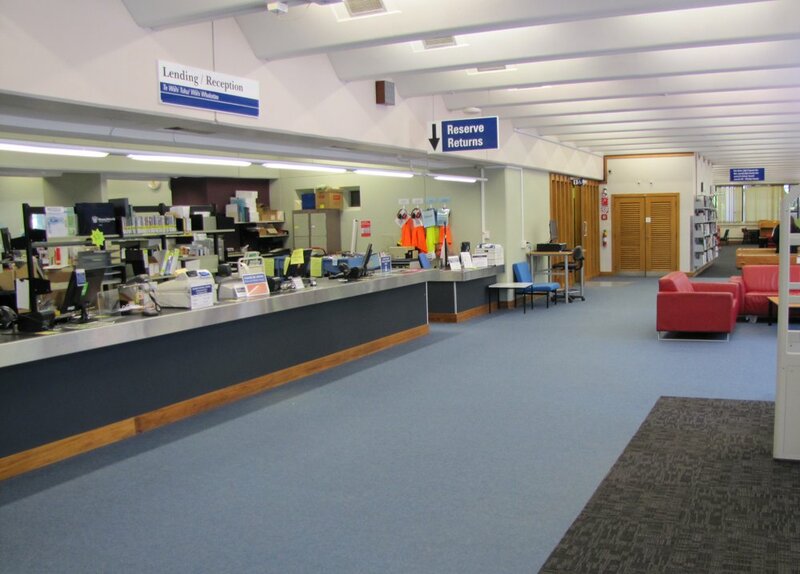 The entrance / lending area at Massey’s Manawatū Campus Library before the transformation. 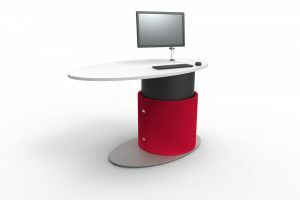 Linda had seen various installations utilising Instinct Furniture’s range of counters and help desks; designed for safety, easy interaction, and mobility. 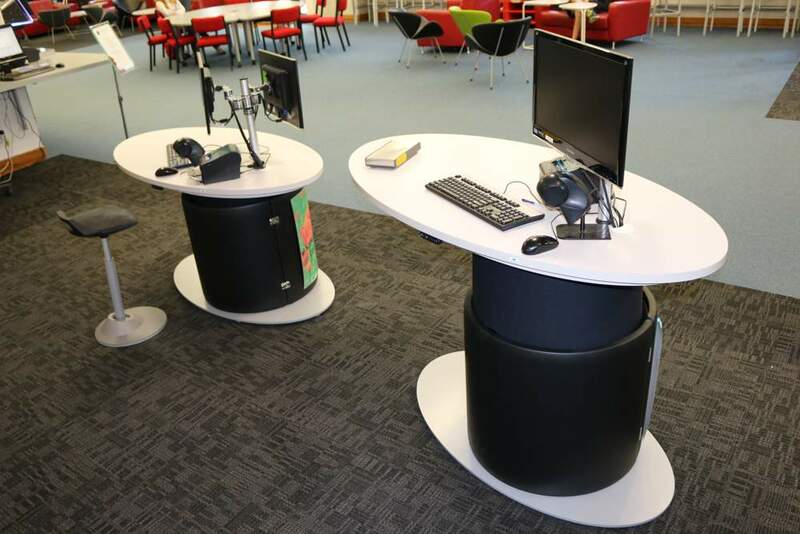 After discussing the option of moving to a more ‘open library’ environment with Leigh Bryant, Head of Lending Services and the Campus Library team, Linda made contact with Paul White, our Director of Design. Paul worked with Linda and Shadbolt Architects with a combined vision for the space; user-centered, flexible, welcoming and interactive. The new, part glazed concave wall between the workroom and the circulation area had created a generous bay in which to deploy the new workstations. 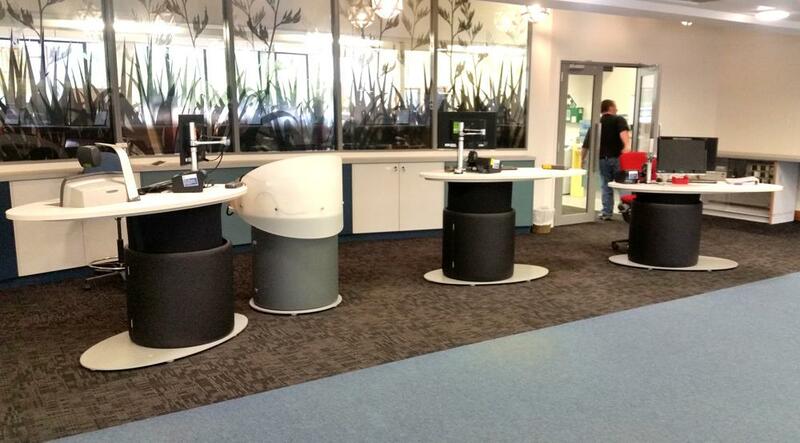 Paul recommended our YAKETY YAK OVAL 1600 counters teamed with our YAKETY YAK Cash/Eftpos Module. 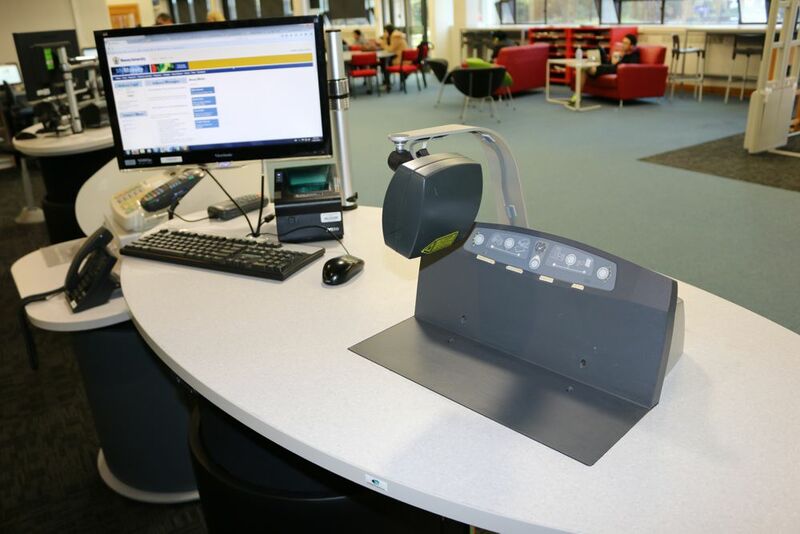 The barrier posed by the old long counter would now give way to an open array of individual service points designed for close staff/student interaction. New counter installation featuring YAKETY YAK OVAL 1600. The new installation has transformed the entrance into an inviting, versatile and modern space. The touch-button height adjustability (a signature feature of Instinct Furniture’s counters) allows staff to adjust the height to suit their own individual requirements as well as those of their customers. YAKETY YAK OVAL 1600’s at a seated and standing height. YAKETY YAK OVAL 1600, mounting a 3M in-bench scanner. YAKETY YAK with its soft organic styling accompanied by our Muvman Stool. 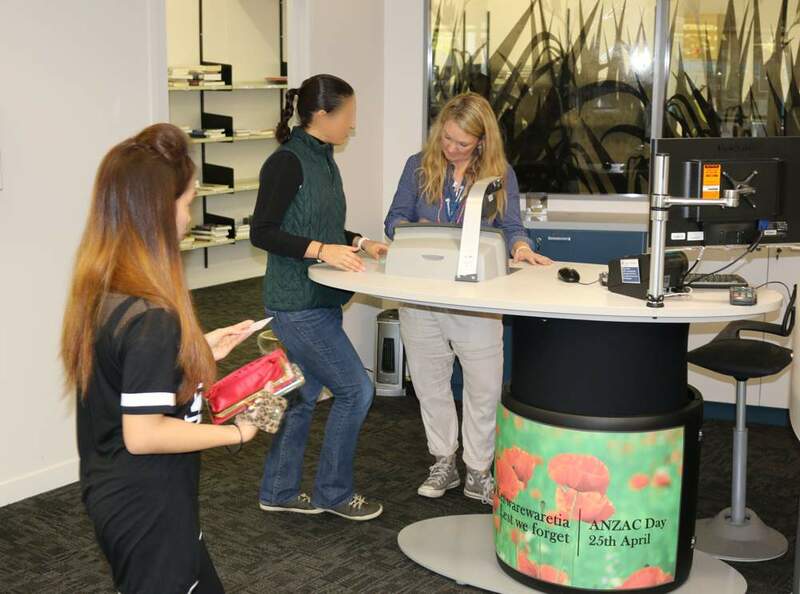 A welcoming counter configuration; seen here with posters celebrating ANZAC day. YAKETY YAK OVAL 1600’s positioned together for a collaborative and flexible learning space. YAKETY YAK encourages a closer, friendlier interaction – a space for students to engage with staff, chat or problem solve. 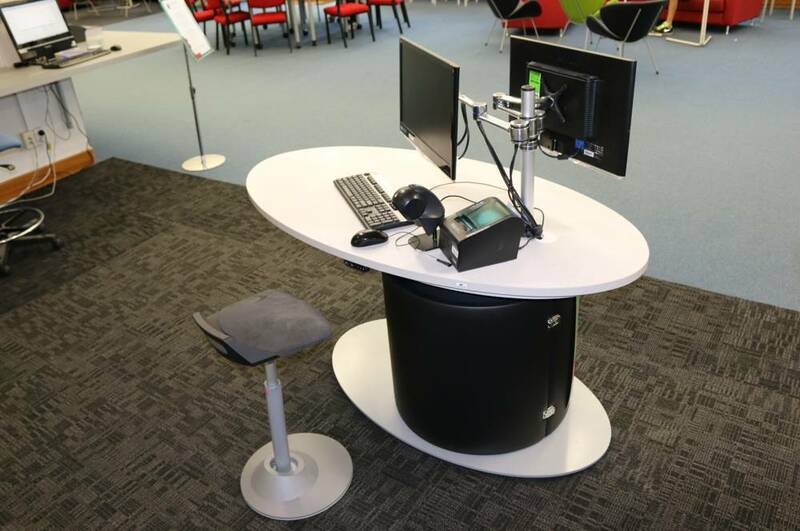 “With thanks to all involved, the traditional Lending Desk and surrounding space has been transformed, enabling a more flexible and collaborative approach to service”, says Linda.